FYI – my birthday / book release day was great! Thanks for all the kind thoughts and words of encouragement. 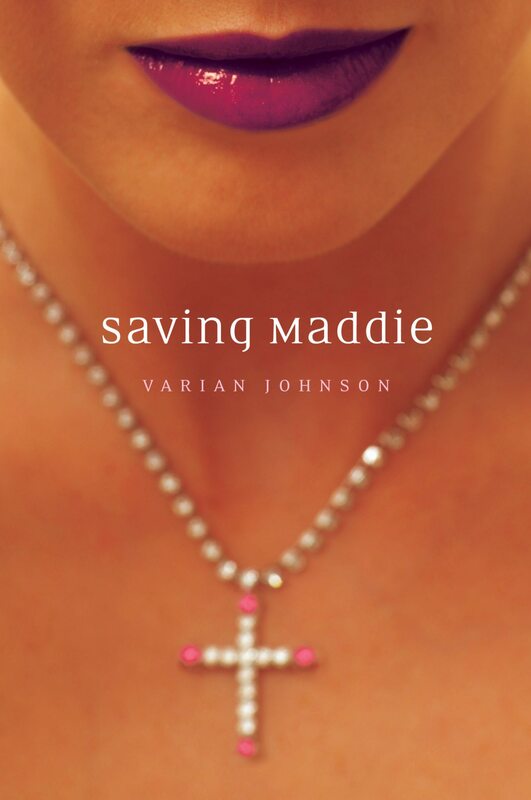 And thank you so much to the people that went out and picked up a copy of Saving Maddie. I hope you enjoy reading it as much as I enjoyed writing it. Check out the full playlist! Be sure to check out the full interview! And tomorrow aka release day aka my birthday, check out Reading in Color, where I’ll be discussing the Saving Maddie Playlist. Monday: I’ll be discussing religion, stereotypes and cover art with Melodye Shore in The Author’s Tent. Friday: I’ll be talking to a student interviewer at Crazy Quilts. I’ll be updating my blog with direct links throughout the week. Be sure to check out all the stops! There may even be some giveaways involved. …Karla at www.spottoread.blogspot.com! Congratulations, you’re the owner of a slightly used ARC! So last Saturday, I saw that Saving Maddie had been reviewed by Kirkus. I waited patiently–waited for my editor to send me a copy, waited for the review to be posted on B&N (PW and SLJ are already there), waited for the issue to be available via the online journal database at my university. On the third day, I caved and bought a one-month subscription. I’d actually been thinking about this before seeing this review, after recent online discussions with Collen Mondor about After the Moment and after seeing the comments in Edi’s wonderful review. I realized that during the cover design process, I was so preoccupied with the skin/lip-tone of the cover model, I didn’t think about if the cover was “anti-boy”. And I’m NOT saying that the cover is or isn’t boy-friendly–but I am admitting that I didn’t put as much thought into this as I should have, and will hopefully do better in the future. All that being said, this is still a great review. And how am I celebrating? Well, by giving away my last ARC (Advanced Reader’s Copy) of Saving Maddie. Looking at my office floor–I mean, bookshelf, I realized that I don’t own ARCs of any of my previous books, which in a way is fitting. The ARC isn’t for me. It’s for librarians and reviewers and booklovers and people like YOU. So if you want an advanced reader’s copy of the book before the real thing hits stores on March 9th, just make a comment on this post before 12:00 Midnight CST on Tuesday, Feb 23rd (if you’re reading this on Facebook, Livejournal, MySpace, etc–you’ll need to go to my webpage blog to officially enter). Don’t put your email or snail mail address in the comments–just your name–and check back on Wednesday evening to see if you won. An updated Saving Maddie page, including review blurbs, my thoughts on the book and…Chapter 1! I’ve been thinking quite a bit about this novel since I finished it last summer. I also have a postcard for this book, which has the tagline “…about a boy who discovers what happens when love fails us–or we fail love,” which I think is a perfect way to describe the novel. Sometimes, as much as you want to do the right thing, you just…can’t. Sometimes, despite wanting to be a good, upstanding, honorable person, you fail the ones you love; the ones that need you most. And, it’s just so damn hard to save someone when you have no idea HOW to save one. Perhaps one of the reasons I enjoy this novel so much is because of how similar some of the themes are to Saving Maddie…which I plan to talk about…eventually. But for now, you can check out this review by Melissa at Book Nut. I always said I was going to do a Wordle for SAVING MADDIE, and as I’ve been too lazy to generate an actual post, I figured now was as good of a time as any. I should be posting my Spring speaking schedule sometime at the beginning of the year (psst–I’ll be at both ALA Midwinter and TLA, among other places). I hope everyone has a happy and safe holidays. For the rest of the month, I’ll be all over the place. Hope to see some of you at one or more of these events!